Always nice to get feedback, thanks to my customers who took the time. Steve came out to fix our boiler that sometimes worked sometimes didn't. He replaced a part he thought was the problem but couldn't be 100% sure so he didn't charge us for a week just to make sure it cured it. He also explained what was happening and why, which he made really interesting, I know how my heating works now. How many plumbers do that! All working fine. Great service and will definately recommend him to my friends. Steve Hooper came to fit a bath in place of my wet room. He took great time and care to seek and supply materials for me at an affordable cost. He did a very professional job of fitting my bath and tiling the bathroom. He also worked in a very tidy manor and was very thorough. He went to great lengths to supply me with my perfect bathroom and I'm very happy with it. 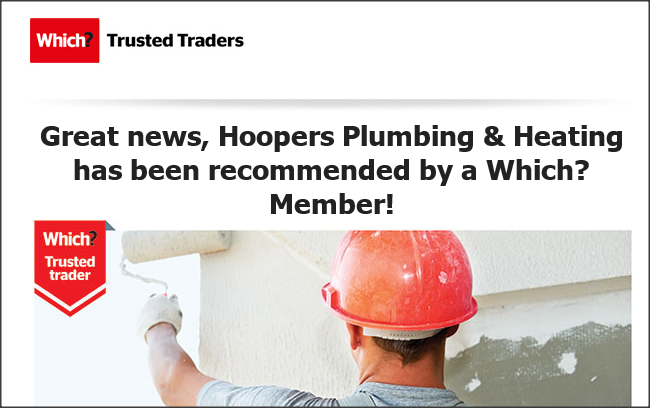 I will be using Hooper's again and recommending to friends and family. 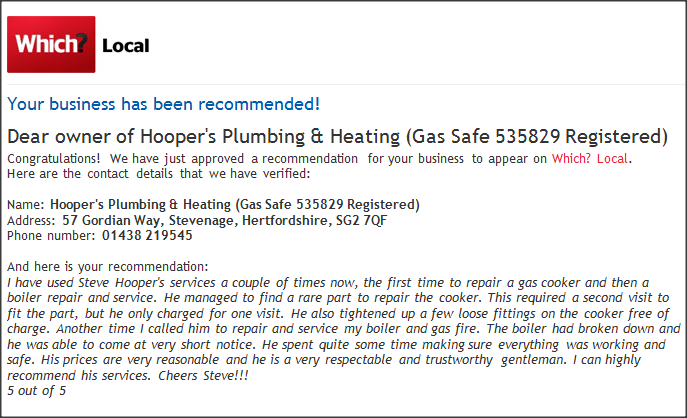 Paula Heyes recommends Hooper's Plumbing And Heating. Many thanks for your work on the shower. A fantastic job. It looks terrific. I can't help feeling though that you have under charged us for your labour as when you quoted we had not chosen a shower cabin and probably have asked you to do more than you expected? Just wanted to say a massive Thank you for all your help last week and today in getting our heating/hot water sorted out. I really appreciate everything you have done for us and for fitting us in so quickly. See you in Dec for the service.